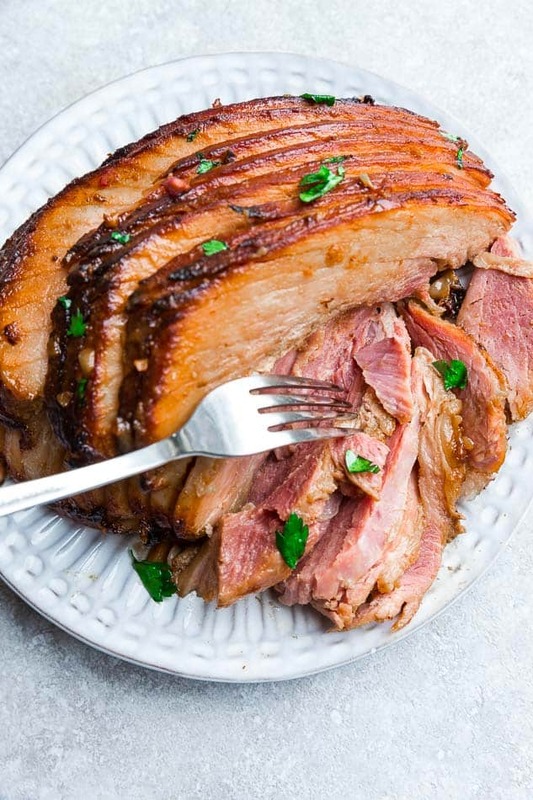 Instant Pot Ham is juicy, flavorful and so easy to make in the pressure cooker in under 30 minutes. Made with a delicious low carb, Keto, Paleo glaze and is perfect for your Christmas, Thanksgiving or Easter table! No holiday table is complete without a roasted turkey or a delicious spiral baked ham. 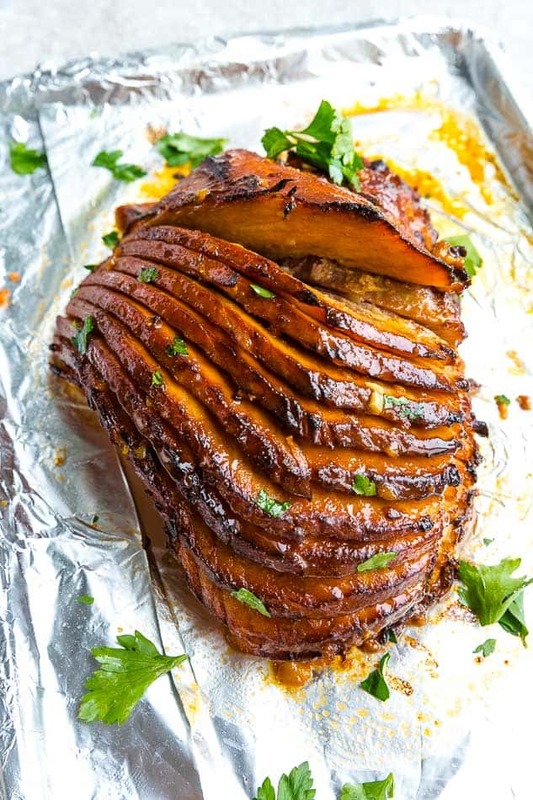 Making a spiral ham for your next holiday dinner is easier than you think. 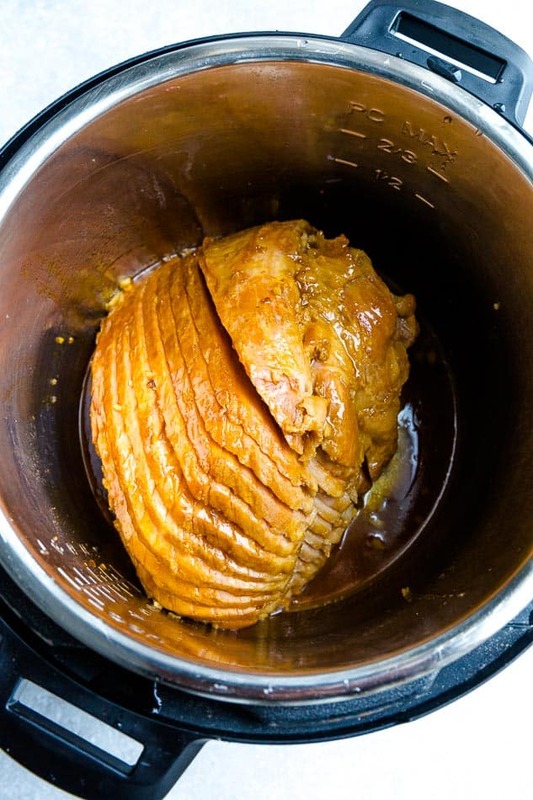 This Instant Pot Ham is done in under 30 minutes in a pressure cooker and comes out juicy and full of amazing flavor. No more dry ham that cooks in the oven for hours. Plus it frees up the oven for other dishes or desserts taking a lot of the stress out of the holidays. 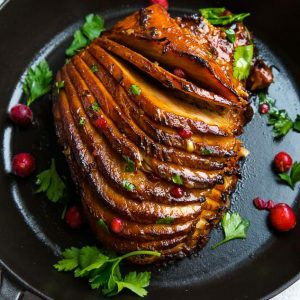 Since ham cooks so much quicker in the instant pot, that means you won’t have to wake up early to prepare your holiday meal. Keeping the oven off means a more hands-off holiday ham. And, you won’t have to heat up your kitchen during the warmer months. Don’t have a pressure cooker? Try my Slow Cooker Ham instead. Most spiral hams are cooked already, so all we need to do is to heat it up, just like you would do in the oven. The Instant Pot makes it easier and faster! 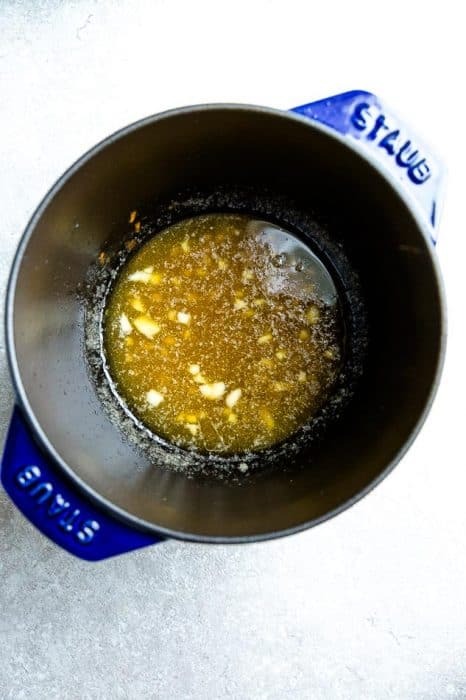 Start by combining the butter and golden monk fruit sweetener in a small sauce pan or microwave-safe bowl and heat until melted and combined. Stir in Dijon Mustard and minced garlic until combined. Close lid, press “manual” or “pressure cook” and set the timer to 9 minutes. The Instant Pot can take anywhere from 10- 15 minutes to come to pressure. 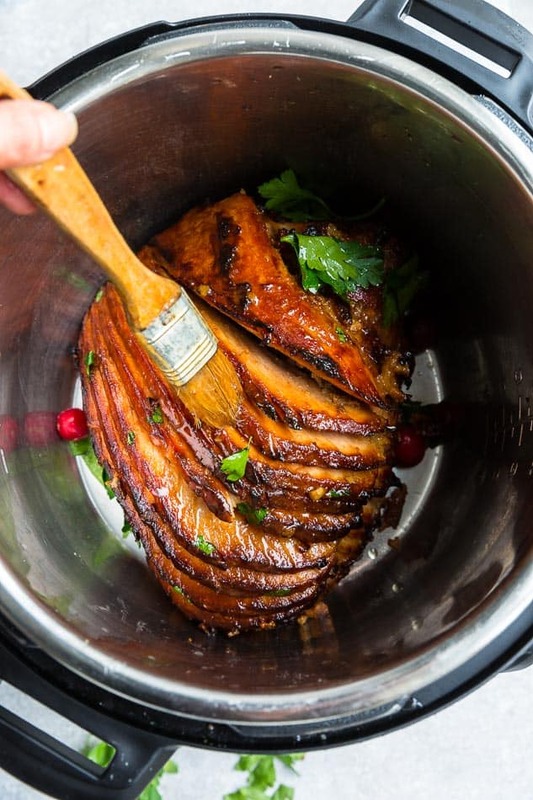 Once the ham is cooked, allow the Instant Pot to release the pressure naturally (about 10 minutes). Carefully open the lid and transfer the ham onto a cutting board. Slice ham and serve with any leftover glaze. For a caramelized coating, place ham on a foil-lined baking sheet and heat under the broiler for 1-2 minutes, or until desired doneness. This depends on the size of your ham and Instant Pot. We set ours to cook at 8 minutes for a 4 lb spiral-cut ham that fits perfectly in my 6 Quart Instant Pot Duo Plus. If you are using a larger 6 lb bone-in thigh ham or have an 8 quart, the time will still be 15 minutes but will take longer to come to pressure as well as fully release pressure. CAN I FREEZE LEFTOVER HAM? So how do you freeze leftover ham? Leftover ham can be stored in the fridge for up to 4 days, and for up to 3 months in the freezer. Place leftover ham in freezer bags and press out as much as air as you can. Store in the freezer for up to 3 months. 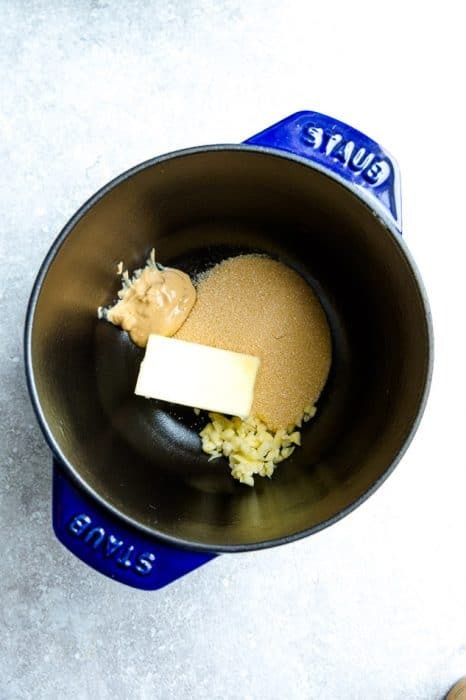 Prepare the glaze: Heat butter and monk fruit sweetener in a saute pan or microwave safe bowl. Whisk in the mustard and garlic until smooth. Remove from heat. Insert trivet inside inner pot of pressure cooker. Pour in 1 cup water. Place ham on trivet and brush glaze on outside and inside the spirals of the ham. Close the lid and press the "manual" or "pressure cook" button and set timer to 9 minutes. The pressure cooker may take 10 minutes to come to pressure. Once cook time has elapsed, allow the Instant Pot to naturally release all the pressure (around 10 minutes). Carefully open the lid and transfer the ham to a cutting board. Serve with any leftover glaze. 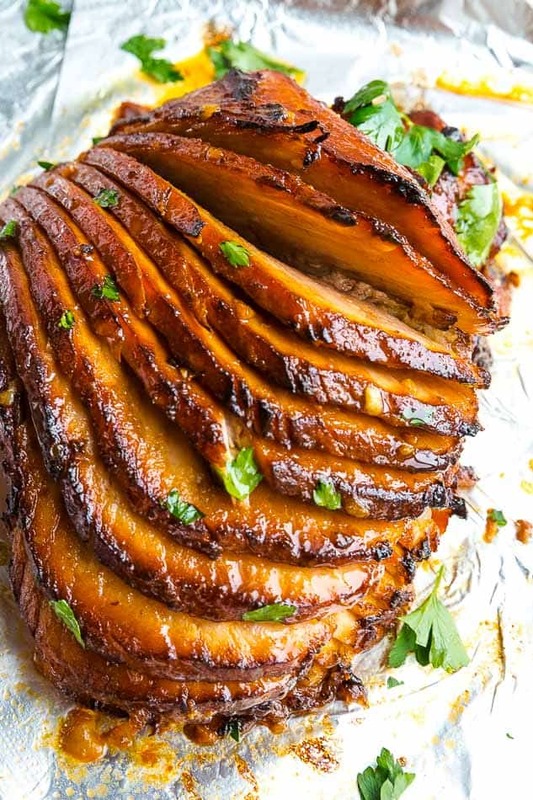 For a caramelized coating - set the oven to broil. Remove the ham from the pressure cooker and place on a foil-lined baking sheet and brush with leftover glaze. 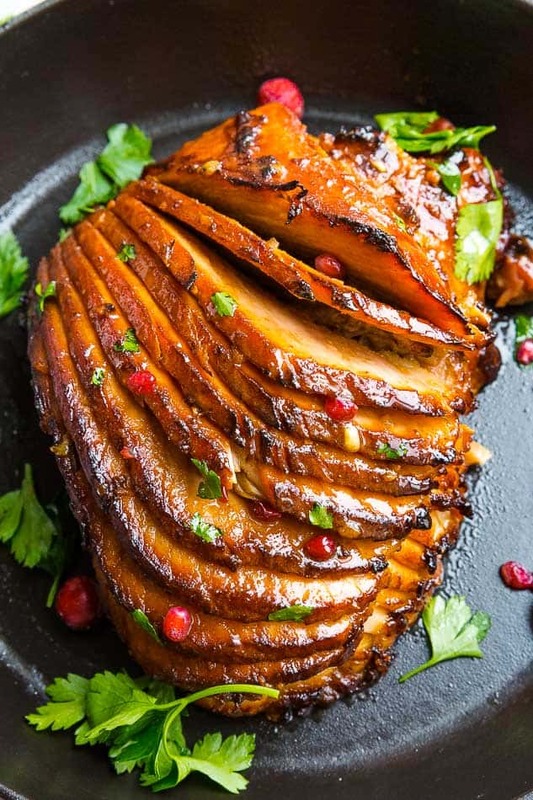 Place the ham under the broiler for 2-3 minutes or until the glaze is bubbly and caramelized. This ham looks really DELICIOUS. Added to my easter list.